2) where to fly out of? 3) are the road good to drive in the month of FEB? 4) will the castles and places to see be open in Feb? 5) if we drive and sightsee will the road take longer than a week?? That sounds like a good plan. Perhaps you have written it just in the wrong order, but I would suggest that you go Füssen - Augsburg - Rothenburg - Würzburg, otherwise you would go north, back south, and north again. Have a look at the Google map to see what I mean. From Augsburg to Rothenburg I would not take the Autobahn, also Google maps and perhaps navigation system suggest it. Stay on the Romantic Road so you get to see quite a few lovely towns on the way, and the mighty Harburg castle. Thanks Rita ! My plan starts driving from Munich to Fussen, stay one night, then go to Rothenburg ,one night, then to Augsburg and Wurzburg each one night and then to Franfurt Airport going home. The hotel I book are all free cancellation, what is other suggestion regarding the itenary I planned. The Romantic Road is a country road, easy to drive & well signposted. You will see heaps of nice country towns. 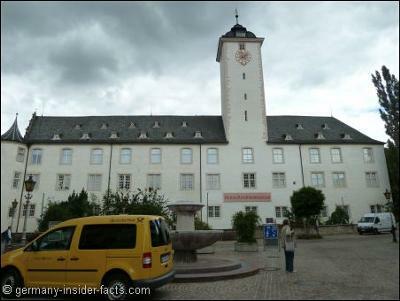 I would suggest to stay one night at Würzburg, it is the largest city en route and the start at the northern end. Then either 1 night in Dinkelsbühl, the Goldene Rose is a nice hotel, and 1 night in Rothenburg. As both towns are not too far away from each other, you could also spend 2 nights in Rothenburg and perhaps explore Dinkelsbühl on a half-day trip. I loved my stay at the Hornburg Hotel in Rothenburg. The final stay would be in Füssen with the opportunity to visit Neuschwanstein and Hohenschwangau castles. Here is an overview of all towns along the Romantic Road from north to south. Munich to Frankfurt in April 22 to 25. 2, Which cities you will recommend to visit and the time spend in those cities? 3, which hotel you suggest to stay ? Altogether 4 nights. 4, The whole Romantic Rd is country, hill road or autobahn? Mr. Li. Thanks a lot! When you look at the map on the Romantic Road main page, the route follows the Tauber valley in the north and the Lech valley in the south. Both rivers are not navigable by cruise-liners. You can hire a kayak or canoe in some towns along both rivers. River cruises in Bavaria are available on the Donau (Danube). However, most river cruises start in Passau and go downstream into Austria, Hungary and to the Black Sea. I just watched a gorgeous documentary on Bavaria, and of course one of the highlighted features is the Romantic Road. Although the host was flying a slow-moving light plane, they appeared to be following the course of a river or two. Does any river cruiseline offer a Bavarian cruise, where the Romantic Road area can be seen? In the south, there were a couple little port towns along rivers (inlets) that it appeared a river cruiser was docking. Any info appreciated!! The northern start of the "Romantische Straße" is Würzburg, about 120km east of Frankfurt, while the southern end is Füssen, about 130km south of Munich. So you can do an one-way trip, fly into Frankfurt, drive down along the Romantic Road to Füssen, and then fly out of Munich. A week is fine, you'll have plenty of time to discover the cities and towns along the route. The weather is rather unpredictable in February. We have winters with not much snow anywhere in Germany. Usually, the closer you get towards the alpine region in the south, the more snow you can expect. During the last two winters we had lots of snow all over Germany. This shouldn't scare you. First, it doesn't snow every day and secondly, the main roads get cleared from snow and ice pretty soon. The Romantic Road is fairly flat as it leads along river valleys, so there is no driving in mountainous terrain required. Just ask when you hire a car that it is fitted with "winter tyres" (Winterreifen). Unfortunately, not ALL castles and attractions will be open every day in winter. Some places open only on weekends outside the tourist season. 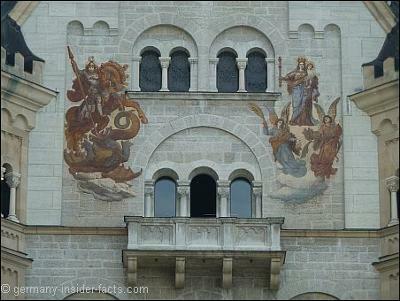 But of course the main attractions like Neuschwanstein castle and the beautiful churches will be open. I explored many towns and attractions on the Romantic Road this summer, and will add more pages to the website over the next months. I am sure you will find more tips to plan your trip then:). Return to Tourist attractions in Germany - Romantic Road.